On Monday 11 November I deliver a lecture to Master of Design for Services and MSc Design Ethnography students entitled Design Leadership: Time for New Perspectives for the Strategic Design Thinking module. This post provides students with further resources to explore themes raised in the lecture. Two books are critical. The first is The Handbook of Design Management, edited by Rachel Cooper, Sabine Junginger, Thomas Lockwood. 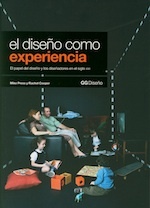 This provides some excellent well researched perspectives from corporate design management. The emphasis here is in examining those factors that determine design’s leadership role in the corporate environment. The second book is Design Transitions by Joyce Yee, Emma Jefferies and Lauren Tan. 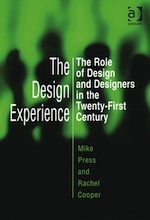 This book looks at contemporary design practices, with a particular emphasis on service/social design, and current design thinking, based on profiles of companies and interviews with specialists. One of its many unique aspects is the truly global span that it achieves in terms of its research and analysis. It is also written in an accessible style while embracing a range of issues and developments. Design Transitions is an essential read for all students and practitioners of design. There is a website for the book, and an older site set up to document the process of researching and writing it, and which has a few of the interviews and profiles in the book on it (including mine). Richard Farson: Leadership is the key issue, the full text is available here. Alan Topalian is one of the founding fathers of Design Management, and has written widely about leadership, including a key chapter in The Handbook of design Management. One of his earlier papers for the Design Management Institute is Promoting Design Leadership through Skills Development Programs. Kevin McCullough: The Many Faces of Design Leadership. His ’10 types of design leader’ is an interesting and vivid starting point to explore the qualities of design leadership. Joanna Montgomery: Pretty Face and Thick Skin: Flourishing in a Male World published by Huffington Post. How do young women get treated seriously as leaders in the technology sector? A vital contribution by a DJCAD graduate. Design 20?0 The Future of the UK Design Industry – An investigation into the threats and opportunities for the UK design industry over the next 10 to 15 years by Rachel Cooper, Martyn Evans & Alex Williams. This is an excellent research report on possible futures for the consultancy sector. Design leadership is fundamentally about empowerment, it is about vision, driving change through design in the wider world, and is about the primacy of values. We find it in the corporate world, and we find it in the community. Design leadership helps us to create iPhones, and it helps us to create and sustain knitting groups. We see design leadership in start ups and in schools where teachers empower their pupils to learn and to gain self-respect through design and technology. Design leadership is about focussed determination. And it is about empathy, emotional intelligence, honesty and the primacy of others. Not ego. Design leadership is practiced by women and men, of indeterminate ethnicity, of all social classes. It is exemplified by amateurs, activists and professionals. So to define such a concept through a partial and selective perspective evident in some current design management thinking is at best flawed.